2nd ODI India vs Australia Adelaide: Former India captain MS Dhoni has done enough to silence his critics who doubted his World Cup selection. 2nd ODI India vs Australia Adelaide: Former India captain MS Dhoni has done enough to silence his critics who doubted his World Cup selection. If his match-winning 55 off 54 balls was not enough then on the field while keeping he again gave fans a glimpse of his experience. 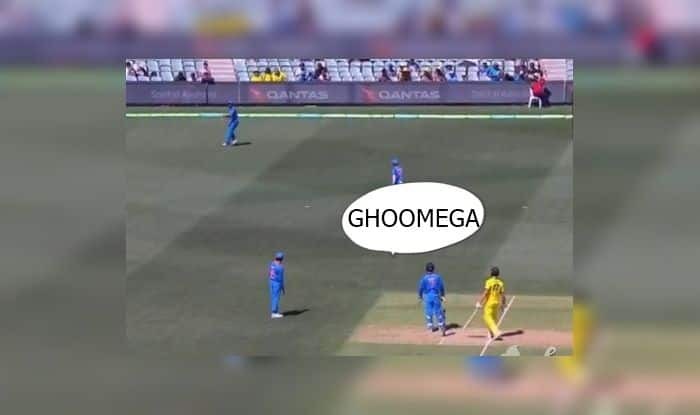 Shaun Marsh had hit a delivery from Kuldeep Yadav towards point, Dhoni shouted to Bhuvneshwar Kumar at point ‘ghoomega’, which means it will turn. The ball turned and Bhuvneshwar missed the trajectory of the ball and conceded a single. The incident happened in the 32nd over of the match. Meanwhile, it was run-machine Virat Kohli, whose 39th century could not take his team to the finishing line this time but Dhoni (55 off 54) and Dinesh Karthik (25 off 14) rose to the occasion with an unbeaten 57-run stand off 34 balls, taking India home with four balls to spare. “You look for little moments to pump you up, get into the zone, and that’s what I was trying to do. I tried to stay as aware as possible in recognising the moment to strike. “I thought those 2-3 overs were the moment, to bring the gap between runs and balls down. When it comes off it looks good. It was a really tough day.